Congrats are in order for Trinidad-born islandista Floella Benjamin who took her seat in Britain's House of Lords today as a peer for the Liberal Democrats. 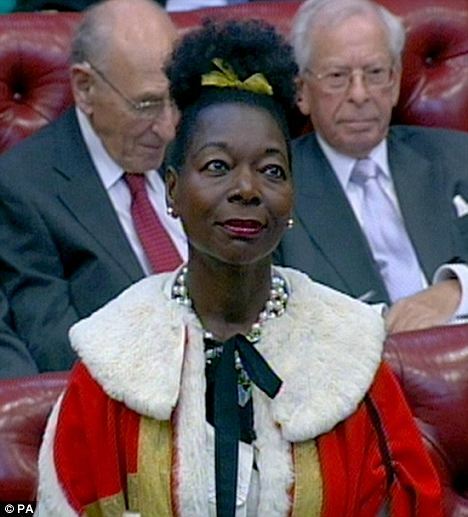 Her official title is Baroness Benjamin of Beckenham in Kent, but she will be known simply as Baroness or Lady Benjamin. She follows fellow Caribbean Baronesses Lady Amos and Lady Scotland. For those who don't follow British politics, you can check out the Wikipedia article on the Upper House's history and modern day role here. Basically, it is a honorary role but they do debate bills and have some power to amend or reject them - though that power has been greatly (and democratically) restricted over the centuries. It is a great honour for Benjamin, formerly a children's television presenter and an active campaigner for children's rights. She has previously been rewarded with an OBE (Order of the British Empire), a seat on the Millennium Commission and been made chancellor of Exeter University.